The Hermits of the Holy Cross is a Lay Christian Contemplative Association for those who are permanently, physically disabled and have become for the most part “home bound” to their local Church and in need of continuous medical care. The Association of the Hermits of the Holy Cross is set-up in such a way that those who are chronically ill and/or physically disabled can live out a monastic spirituality from their own homes. We assist the Church and the world through our lives of Prayer, while freely offering up all the Sufferings stemming from our disabilities. 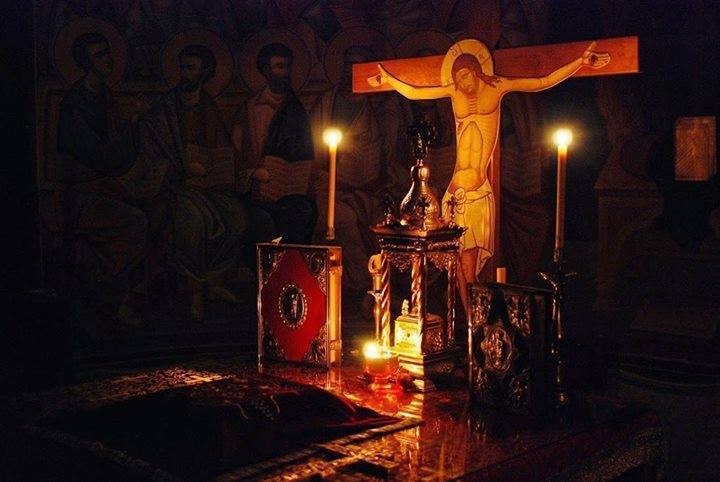 For the Hermits, our Hermitage is within our hearts and the Cross of Christ is the inspiration that empowers our lives, both for ourselves and for the world. We can be reached at dextraze13@yahoo.com. Please email us if you have any prayer requests or any inquiries. Thank you and God Bless You. Please, anything I can do to help your work, let me know. I sent you an email and still awaiting for a reply. Yes, the translation I used was written by Carmen Acevedo Butcher found on Kindle. After reading many translations now I’m still lost in understanding(get some sense about) ‘Affection’ , ‘Will’ , ‘Love’ , are they refer to the same spiritual thing ? Based on “Pursuit of Wisdom” again it refers to main powers , Reason and Affection. And again under Affections , comes Love. No mention about ‘Will’. But by my experience I don’t still know how to distinguish ‘Love’ . But I feel I have a strong ‘desire’ ‘Will’ ‘stirring’ towards ‘Unknowing’ . I see the aspects of ‘imaginations’ , and ‘sensuality’. Any recommendation of a book/something to help me on this ?